Register Log In ECN Forum Forums Photos for General Discussion Approved Terminations? These connections were behind the flush mounted dryer receptacle. 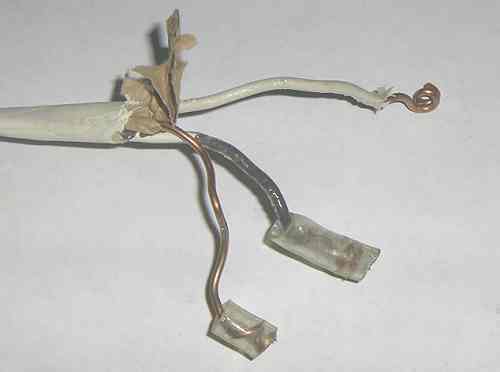 They fed 2 240 volt AC receptacles run on the surface in NM-B cables. This is 12-2 NM-B. 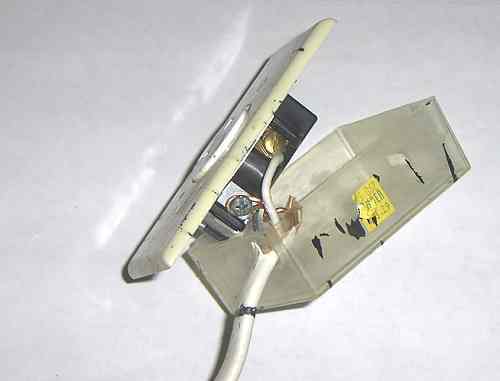 This is the receptacle end of the AC outlet fed from the dryer circuit. This was fed by a 20 amp 12-3 NM-B. The splice was buried without a box behind the sheetrock. It fed 2 duplex receptacles wired with 14-2, one on each circuit. I think this installer learned his trade here in WV. That translucent receptacle box in the middle picture is kinda cute, what did it start out life as? I like the last picture's grounding conductor termination technique, obviously some engineering went into it's design due to the flexibility needed of a flying splice. This guy could not even figure out his color codes. 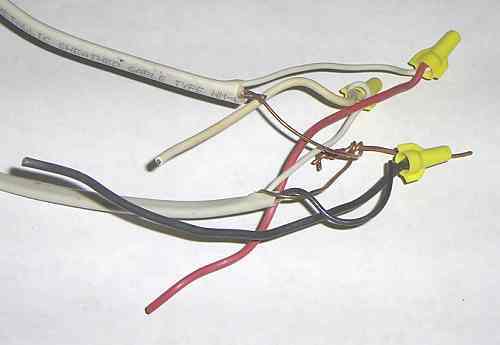 The 3 wire fed 2 duplex receptacles. Yes he had 2 whites on the device, one was hot. Different receptacles, different wire connectors, and different color codes, but otherwise it's very similar to a lot of the mess I get to sort out here. That splice on the ground wires looks all too familiar.